New York: Filipino veteran Manny Pacquiao has revealed he has spoken with Floyd Mayweather about a possible sequel to their 2015 superfight, but said no decision would be taken on a rematch until the New Year. “When I met up with Floyd in Japan, we talked and he said he wants to come out of retirement to challenge me,” Pacquiao said. 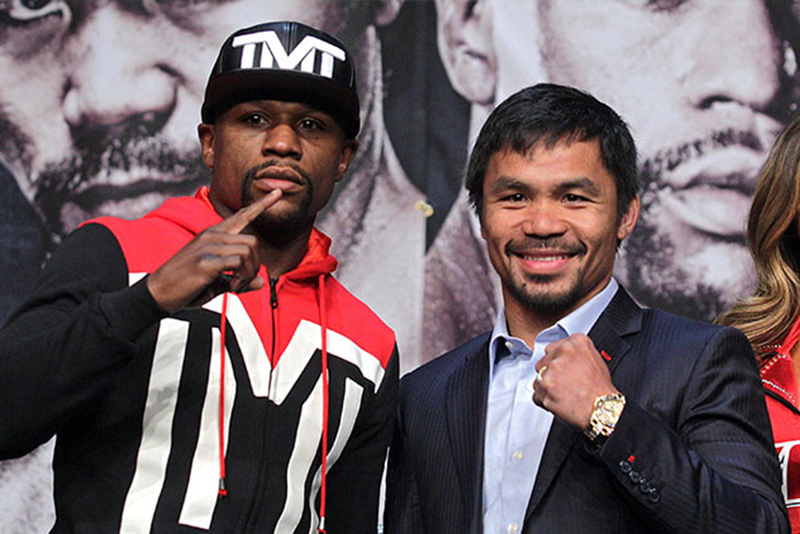 Mayweather scored a unanimous victory over Pacquiao in 2015’s “Fight of the Century”, which was largely regarded as a let-down despite being the highest-grossing fight of all time. “I’m coming back to fight Manny Pacquiao this year another 9 figure pay day on the way,” Mayweather wrote on Instagram. Meanwhile, Pacquiao, who will be fighting in the United States for the first time in two years in January’s bout, said on Monday he remained solely focused on Broner before any return with Mayweather. The move ensures Pacquiao will have chances to fight the best in the welterweight division as Haymon’s fighters include Americans Thurman, 28-0 with 22 knockouts; World Boxing Council champion Shawn Porter, 29-2 with one drawn and 17 knockouts, and International Boxing Federation champion Errol Spence Jr, 24-0 with 21 knockouts.